As the founder of IGC & Associates, Jeffrey’s has found his purpose and is living his passion for making a difference in people’s lives. He is the person who everyone wants to sit next to at a table and people line up to be a part of his coaching and training experiences. Jeffrey uses his great sense of humor as a part of his coaching and training experiences. Dynamic, insightful, experienced, and passionate describe Jeffrey’s approach to facilitating, coaching, and consulting when partnering with individuals, teams, and organizations. Jeffrey knows the academic learning, principles, and theories and focuses on how to integrate the skills in “real-life” applications – personally and professionally. His energy and humor are contagious in a way that naturally brings out the best in others including those who may be reticent. Jeffrey Parsons shares his expertise with leaders and organizations to help them overcome multiple challenges in today’s work environment. Facilitating & coaching leadership skills for all levels of leadership with passion for those first entering or evolving their leadership role. Team building to improve individual and team performance, processes, and results. Engaging a multi-generational workforce to improve teamwork, communication. 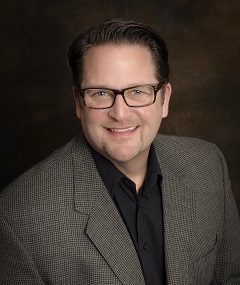 For over 20 years, Jeffrey has worked in the leadership & organizational development and training areas to support a range of industries including customer service, education/higher education, healthcare, government, hospitality, pharmaceutical, technology and transportation. His international experience spans the globe and includes training, leadership development, and customer service training in Asia, Canada, Europe, India, Mexico, South America, and the United Arab Emirates (UAE – Abu Dhabi). A sampling of his clients include: Abbvie – Pharmacy Solutions, United Airlines, Novartis Pharmaceuticals, CareerBuilder, Merck Pharmaceuticals, Internal Revenue Service (IRS), Pricewaterhouse Coopers (PwC), University of Chicago – School of Law, University of Iowa, and Volkswagen of America. Jeffrey holds a B.A. in Theatre Arts and Communication from the University of Iowa in addition to multiple professional certifications in leadership development, 360°, and team assessments.